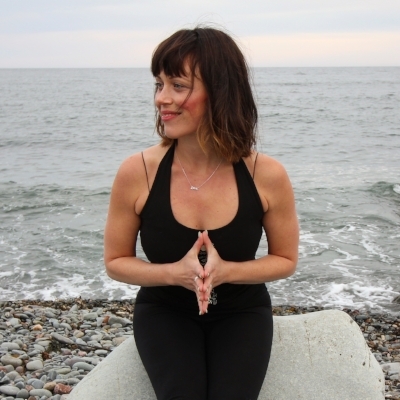 Inspiration ★ Estelle Thomson ★ Anatomy of the Yogi's Heart. Anatomy of the Yogi's Heart. Two of my classes will be running on the ANATOMY OF THE YOGI'S HEART Program. I am no cardiologist. I am a yogi. I have heart. In "INSPIRATION" you can find the weeks class title, main quotes, songs and learning. As the weeks goes by, this page will be updated weekly to reflect the weeks teaching. My gift to you. Title: Tapping into the "Metta" : Metta can be loosely translated in 'loving kindness' or 'all-pervading compassion'. This week we tap into it by breathing from our feets and hands with kundalini-inspired exercises, funky vinyasa's, lotus mudras, and of course backbends! Title: "Heart as Ocean" : Samudra can be loosely translated in 'ocean of the heart'. In Indian mythology. the ocean is thought to be the source of all life. This week we first tapped into our heart space by doing the 'Heart- charging station' exercise & hasta mudras to receive. Vinyasa's are simple and arm gesture are powerful. Peak pose: Ustrasana. Title: "Heart as Cave" : Madhya can be loosely translated into 'middle' or the 'space in between'. This is relevant to our Heart as Cave theme, since yoga metaphysics speak of layers pertaining to the heart. The first layer of the heart ( outer layer) is our social identity, our second layer (inner heart) is our personal identity, and our third layer (innermost, secret heart or 'middle: madhya"). We exemplified this by starting the class with in an easy seat, with a potentiality mudra - fingers touching, making the shape of a grapefruit with our hands. Ive actually brought a grapefruit in class, and peeled it up to visualize this effect. The outer layer of our heart is the threshold or entrance. The inner layer is dark and safe. Finally the secret heart is hidden, invisible yet is the middle of everything. Sitting, we explore the in-betweens of a IN and OUT of breath. The spacial middle of a breath. We bring this perspective into our heart space. Learnings: What do you keep in your heart? Let the cave of your heart a place you can retreat to. What does your cave hold? What do you want it to hold? Is it spacious there? Clear there? Crowded there? Make space for what you want. Title: " Heart as Lotus": Sada Vasantam Hrdayavinde can be loosely translated as 'always dwelling in the lotus heart'. So far, we've essentially been talking about the 'self' or how version of "the self" dwells in the energetic heart. Dating back to the oldest texts the verse captures the dances of opposite: forces which in yoga philosophy is quite simply rest on life. The ying to the yand, the masculine to the feminine, the Shiva to the Shakti and so on. We express this by doing some serpentine pathways with our hands and including the swirls those in our vinyasa. Our mudra this week is the lotus mudra. We add in swirls of tai-chi in our warrior sequence and finish with a delicious hip sequence. Learning: Intently visualizing the lotus 'dwelling in the heart' we personify resiliency. The lotus blooms in murky water reminds us of this. Quote: Your heart is your first teacher- Cherokee Saying. Title : "Heart as Bridge": Anahata : unhurt, unstuck and unbeaten. One must love and be loved in order to become whole. Human seek wholeness. This week, drop your frontal brain in your anahata and let yourself pass over something, move through something, go beyond something. The heart chakra seeks bonding with another, trust the call, cross the bridge. You are being called to the gates of wonder. Theme Beat: 'I love my life ' The Beautiful Chorus. Rumi. 'Love is a bridge between you and everything'. Title : "Heart as Sound": Spanda: vibration of the spiritual heart. The heart is thought to have a mystical silent sound that resounds continually. It's vibration is called the anahata sadba "unstuck sound" (remember Anahata ? 'unhurt, unstuck, unbeaten'). We learn that sound bring you beauty and healing. We chant "Be here now" loud and clear. We access our vocal power which us really our truth, our voice. This week, is about deep listening, getting unstuck and moving out of your head. Quieting the mind so you can hear your own song. What melody might you sing? Pick a note and hold it! 'Your heart is your first teacher' Cherokee Saying. Title: "Heart as Broken": Bodhisattva- loosely translated into 'vows of the heart'. Just like caring for a garden the bodhisattva tends to the sorrow and pain that impacts the human. This vow requires fortitude and a kind of radical openness to pain. Using this week's class has a gateway or initiation to enter your broken heart. By now, you know the heart is the epicenter of all things manifested and unmanifested, a field of possibilities, desires and dreams. It is a light and radiant place as much as it is a dark and quiet. We need to tend to both equally and with care. This week we practice Garuda mudra ( mudra of freedom) and do some floor sequence work which peaks to bow (danurasana) pose. We continue chanting 'Be here now'. Title: 'Heart as Fire' Agni - loosely translated as 'fire'. This week we tend to our hearts fire and we are guided by the verse from Rumi. 'The heart is like a candle longing to be lit. Torn from the beloved It yearns to be whole again But you have to bear the pain. You cannot learn about love Love appears on the wings of grace'. This week we incorporate fire breath into our chair pose and high plank pose. We learn our own 'heart-charging' station mudra and leave with the mantra: 'Am all I need, to get by". 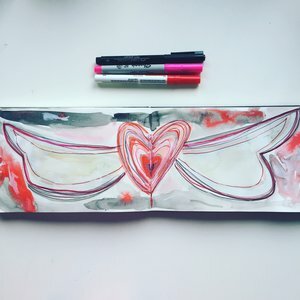 Title: Heart as LOVE/GRIEF: Special Remembrance Day Class. This week we connect head and heart. We embody our inner visionary and get our eyes inside. We affirm: Life happens for you, not to you. We incorporate mudras for Third Eye Chakra ( Ajna) and play we new asana variation, twist and balance.